Dwelling unit maximum carpet area 120 Sq. Mt. 150 Sq. Mt. The beneficiary family should not own a pucca house either in his/her name or in the name of any member of his/her family in any part of India. A beneficiary family should not have availed of central assistance under any housing scheme from Government of India. The government has also increased the loan tenure of the CLSS for EWS/LIG from 15 years to 20 years. 9 Identity Proof Aadhaar No. The assessment applications for PMAY-U are being invited through the online mode through official website pmaymis.gov.in of PM Awas Yojana. Hi Team I have also applied but there is no reason for the rejection..
Sir my name jaya.i started the pre lone 2016.but my home registration in 2018.i am eligible in this lone.this is first house to me. how I can apply for the home loan subsidy ? My carpet area is 92 sq mtr. But Bank is still saying that I am not eligible for subsidy because they still consider 90 sq mtr as limit for MIG-1. Can any one please suggest.Is 110 Sq mtr is eective or the one who has get loan in April 2017. Shree मती वशुन्धरा राजे जी मुख्यामंत्री राजस्थान ! महोध्या जी निवेदन् है की में आयुष सिन्ह जो एक गरीब परिवार से हू ओर कई सालो से हम सिर्फ ओर सिर्फ भाजपा को ही वोट देते है ओर ऊमीद है की ऐसा ही करते रहेंगे पर मुझे खेद है की भाजपा को कोई ऐसी सूची बनानी चाहिये ज़िसमे ये डाठा इकठा करना चाहिये ज़िसमे की वे लोग जो सिर्फ ओर सिर्फ भाजपा को ही वोट देते है ओर देते रहेंगे ऊनं पर भाजपा द्रारा अपना ध्यान केन्द्रीत करना चाहिये ! ऊंहे गरीब परिवार जो करजे के बोज में ढ़बे है ऊंहे करजे से उभारने के लीये कम ब्याज पर लोन की व्यवश्ता की जाये ताकी वे करजा चुका सके ! ओर हर उस परिवार जो भाजपा को ही वोट देते है ऊंहे अच्छी नौकरी की व्यवश्ता की जाये ! मैडम आप से निवेदन है की प्रधानमंत्री द्रारा दी जाने वाली राशी का बुगतान जो रूपये 148000 है ओर शोचालया के लीये दी जाने वाली राशी 12000 सही लोगो को नही मिल रही है ! सभी जगह सिकायत करने के बाद भी कोई शुनवाई नही हो रही ! भामाशाह मे मिलने वाली राशी भी मेरी माताजी के खाते में नही आ रहा है ! अच्छे व्यापार के लीये रूपये नही है ! घर की बहुत ज्यादा हालत खराब है ! रूपये मांगने वाले शुबह शाम परेशांन् करते है ! इतने साल बी जे पी को वोट करने का कोई फायदा नही मिला वो ही गरीबी भरी जीन्दगी है ! अब तो हर तरफ से ही परेशानी ही परेशानी हो रही है ! कोई किसी प्रकार की मदद नही मिल रही कई बार सिकायत करने के बावजुद लोन् नही मिल रहा ! If i constructed the house in udpui which is belongs to Karnataka whether am i eligible for the PM awas yojana MIG II. It is a ancestors property which is belong to my mom name. Ist eligible for constructed house loan for my name, because my mom is house wife. Dear sir, I am a state govt. Employee, drawing salary Rs.5,28,000/- PA.
Can I eligible for this. Kindly tell us the last date of filing of application and how to approach, whom to approach for loan application. Kindly do the needful. Hello, how to apply for this loan, am getting 2,00,000 income per annum, am i eligible. can i get some details. in basic infrastructure road is 100 metre away from the construction site . can we eligible for pmay sir? Can I eligible for this. Kindly tell us the last date of filing of application. I brought 605 super built up 1 BHK flat in the year 2014, my first EMI started on oct 2014. My annual income is 590000. Am I eligible for the PMAY scheme. Please respond. I had taken Loan from Aspire Home Fainance of Rs.1150000/- and i am Elegibility for Subsidy and i have submited my Aadhar card to the BAnk. I want to apply for a home loan of 25 lakhs for a tenure of 15 years for construction of a house of 750 sqft area. So how i will get the benefit of PMAY? From the information given on your website, what i understand is subsidy is considered in first 9 lakhs loan (i.e, 9%-4% =5%) and normal interest is calculated on rest 16 lakhs loan (i.e, 9%) out of the 25 lakh home loan. Kindly enlighten me in the matter. my annual income is 360000. going to buy a flat worth 1300000. am i eligible to take subsidy under PMAY? I have purchased 1bhk with loan. My loan amount is 17,000. My annual income is near about 2,40,000. I m eligible or not. I’m applying for Home Loan for CGEWHO Greater Noida project which might be completed in Dec. 2020. I’m fulfilling all other criteria like Do Not have any Pucca House, Carpet area of CGEWHO House will be within limits, Annual Income is also within define limit of CLSS II scheme for MIG. Am I eligible to get Interest subsidy or only those projects which will be completed by 2019 are covered. Kindly clarify. I had bought my house in 2014 with 25tenure of home loan of rs. 20lacs, am i elwligible for home loan subsidy. I realy need this subsidy. i am nagaraju,my family income 360000 PA.and my house was registered on my parents but both are expired.Documents and every thing is my father name only.my house was 1st floor finished to slab only and we are ready to construction finish the house.iam eligible or not to PMAY. kindly advise me. how ill go for it n which bank can give this pm awas home loan because i went and ask 2.3 bank about this yojana but nobady can’t help m. so please advise m how will i need go for it n let me know formality and perper work also..
Can I get Pradhan Mantri Awas Yojna Subsidy for Resale Flat this is my first property. My loan sanctioned on 26.12.2016 through Axis Bank,, can i eligible for PMAY (loan subsidy), my income is upto Rs. 500000. My annual income is around 4 lakh. Am I eligible for PMAY scheme. Thank you in advance. i have got home loan from federal bank of RS 27 lakhs on feb 2017.
is house construction should be completed within 31/12/2017 ? anyone please let me know . I have been sanctioned housing loan of RS.60lakhs by SBI for purchase of flat measuring 990 sq’carpet area. The flat is under construcion. Loan was sanctioned during April 17 and have released two instalments. My family income is >12 lacs and <18 lacs PA. I want to know the procedure for claiming interest subsidy under PM awas Yojana. Pl guide. Im Balveer singh chauhan and my annual income is 220000/- i want to apply for home loan can i eligible for this and i want know the processe of it. & how will get it done & which bank i need to contact please sir guide me. I am State Govt. employee, my gross annual income is 4,20,000/- and I got home loan from HDFC Bank amounting to Rs. 11,00,000/-. My house carpet area is 95 sqr mtr. Am I eligible for subsidy under PMAY scheme. I am Haryana State Govt. employee, my gross annual income is 4,20,000/- and house carpet area is 95 sq. mtr. Am I eligible for subsidy under PMAY scheme. i am working as a banker annual income is 5.94lakh and father annual income is approx.50,000/-. i have availed loan of Rs.30 Lakh for 30 years,Now I am bachelor.My father doing a private job and he don’t have any house in his own name.and He is co-applicant of my loan …. I’m an working women, my annual income is 2,50,000/-. i’m married with 2 daughters I own a land of 20*30 in Bangalore rural. Please advise the eligibility scheme details for house construction. Hi, I’m a working women of age 30, married with 2 daughters of 5 year and 3 year old and have a land of 20*3o. My income is 250000 Lakh per anum. Please guide under which scheme I will be eligible to get PMAY for house construction. sbi is not section my home loan bank . a put up 09-06-2017 but bank without reason stoped my home loan i am a seneir citizen. Im co-applicant for my bother’s home loan. Property is owned by my brother. Can I be eligible for home loan in my name. Being co-applicant am I eligible under PMAY. Me govt. Employer hu. Meri income 390000 have. Mene apni wife ke name makan liya h. Or lichfl se wife ke hi name 1700000 lakh. Loan Liya h.tenure 20 year.loan 05/02/2017 me Liya. House 50*20=1000 Sq ft. h..kya hame PMAY LOAN SUBSIDY ka labh mil sakta h. Agar milta h to kya karna hoga. Hi i am a state govt employee 5.96lakh gross come. I want take home loan 25lakhs with am i eligible for interest subsidy under this scheme. 1-I am taking loan Amt is 25,00,000 for 12 yrs from IDBI BANK . The built up area of home is 112.20 sqm, but for same built up, carpet area is 105 sqm, and my an income is 650000 per year, am I eligible for the PMAY loan subsidy scheme ? If yes what should i do to take benefit of this yojana. 1-I am taking Home loan Amt is 25,00,000 for 15 yrs from IDBI BANK . The built up(Recorded) area of my house is 112.20 sqm, and for same built up area carpet area is 105 sqm, and my income is 650000 per year, am I eligible for the PMAY loan subsidy scheme ? 2-If i am eligible then how should i can apply for this scheme. Sir my name is sahadeb biswas..i live in west bengal.district-dakshin dinajpur…p.s-banshihari..p.o-buniadpr.pin-733121.. I want to purchase house /flat at hyderabad from private builder. my income is Rs.800000/- pa.whether i am eligible for pmsy subsidy. I am planning to take a flat at Hyderabad. I am planning to take a loan of around 30Lakhs and my Income is 8LPA. I am eligible for this scheme.. Please give more information on this sir. My number 9963029233 and mail id [email protected]. Hi, I have taken a home loan from SBI in March 2017 for purchase of a new flat which carpet area is 38.52 sqr.metrs. and my annual income is 8lacks per annum. For avail credit subsidy I visited the home branch and also RACPC. But bank officers are ignore me and told me that you are not eligible for the credit subsidy. Kindly help me how to apply for credit subsidy. I HAVE A HOME LOAN IN LIC HOUSING FINANACE LTD. I TRANSFERRED MY LOAN TO SBI IN MARCH 2017.MY CARPET AREA IS 1130 SQ FT.I FALL UNDER MIG 1.CAN I APPLY IN PRIME MINISTER AWAS YOJNA? 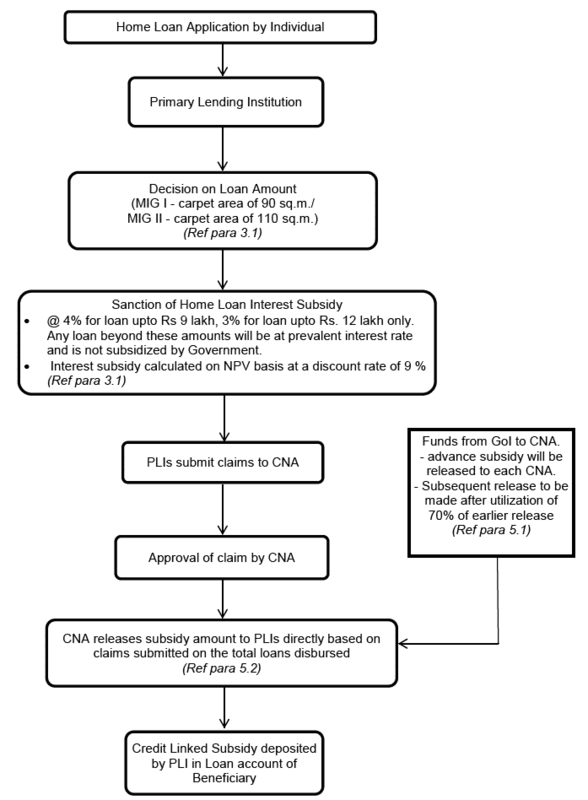 TAKE OVER OF LOAN IS APPLICABLE OR NOT APPLICABLE IN PMAY? 1-I am taking loan Amt is 25,00,000 for 12 yrs from LIC HFL in may 2017 . My apartment base area is 1022 & super area is 1453 sqf, my an income is 650000 per year, am I eligible for the PMAY loan subsidy scheme ? 2-How can apply any eligible persion for scheem. 1-I am taking loan Amt is 25,00,000 for 12 yrs from LIC HFL . My apartment base area is 1022 & super area is 1453 sqf, my an income is 650000 per year, am I eligible for the PMAY loan subsidy scheme ? My annual income is below 600000 and my loan of 1352000 was sanctioned in july 2016. The house is on name of both me and my wife. Am i eligible for this scheme or not?? I m salaried person & form OCB cast. I m purchase house in year 2016 & I m eligibale for MIG-I class. Can i claim subsidi benifit ? I am purchase house in year March 2016 but My Wife name is not mentioned on the aggrement. Kindly suggest to me what can i do for avaling subsidi benifit. in my name so i am eligible this PMAY scheme or not. I am taking loan Amt is 18,00,000 for 20 yrs. My apartment area is 1265 sqf, am I eligible for the PMAY loan subsidy scheme ? Hello Sir, is it pradhan mantri yojna applicable for SBI Maxgain loan? SIR I HAVE 2BHK FLAT IN ASANSOL AND ITS REGETERED BY WIFE NAME .IS IT POSSIBLE TO SHIFT PM AWSA YOJANA .PLEASE HOW . I AM PRIVATE EMPLOYE .MY BASIC SALARY IS 13111/. LOAN AMOUNT 11.50000/LIC FOR 25 YR.SIR PLEASE ADVICE ME HOW TO TRANSFER PM AWAS YOJANA. I HAVE A KID ALSO. SIR I HAVE PURCHASE A BHK FLAT 2016 IN ASANSOL FORM LIC. LOAN AMOUNT 1150000.I WANT TO TRANSFER PM AWAS YOJANA.FOR SUBSIDY PLEASE ADVICE ME HOW ??? I’m Vikas my annual salary is 4lakh. I want to avail this scheme. Please suggest me if I am eligible to avail this scheme,if yes then please guide me how can avail this scheme and what us the procedure to apply. Please advice me urgently. I news it more and urgently. Sir, I’m self employed i got loan sanctioned from HDFC Bank for Rs 20,00,000.00 My Property is below 90 Sq Mt. Will I get the benefit of under PMAY scheme. Now total loan amount is 900000. Whether i am eligible for this scheme. Please let me know if I am eligible or not. my income is 4.50 Lac PA my loan amt. is 19,90,000/- Axis Bank and tenure is 25 yeasr. Loan saction Feb,15 but first disbusment Apr,16 property is 430 square fett carpet area. I am a central govt.emp.My gross annual income is 6,05,000. And I want to a loan Rs. 24,00,000/- from SBI bank and house carpet area under 90 Sqm. Am I eligible for subsidy under PMWY scheme. I am a central govt.emp. My gross annual income is 6,05,000/-and house carpet is under 90sqm.Am I eligible for subsidy Rs. 2.35 lakes under the scheme PMWY. I am a central govt.emp.My gross annual income is 6,05,000/- am I eligible for PMWY subsidy. Sir I have 2 vacant plot registered in with Aadhar no.now I want to buy 1 new house.can i eligible for home lone subsidy ? I have taken home loan at ICICI on 2016 rs. 471000/-. Loan sanctioned date: August 2016, 1st Disbursement date: Nov 2016 and 2nd disbursement date : Dec 2016. Due to improper service of ICICI bank, i have transfered the balance loan to HDFC on MARCH 2017 as a new loan and also got additional loan for improvement. I need to take a home-lone of about 9 to 12 lack, My anual income is about 3LPA How i can utilize this facility, plz send me the respective solutions. Sir mera Survey I’d generate ho chuka hai, ab kya krna hoga mujeh? Plz give me instruction . Sir I am govt. Empl in Bihar. My income is 300000 yearly. My wife has 592 sq.feet land in Patna. I want home loan under subsidy in pm sahari Awas yojna. How and where I apply . pl.guide me. I am from westbengal resides in katwa town.. i am receiving 16000 monthly salary.. and my land consisting of nearly 1000 square feet.. i require 6 lack loan from this scheme.. am i eligible for this loan? If eligible.. from which bank i should apply. And procedure??? I am from West Bengal resides in katwa town.. i am receiving 16000 monthly salary.. and my land consisting of nearly 1000 square feet.. i require 6 lack loan from this scheme.. am i eligible for this loan? If eligible.. from which bank i should apply. And procedure??? I have taken Loan of 25Lakh in July 2016 from CANARA Bank. if i transfer my loan to other bank at that time can i take benefit under PMAY scheme? I need to take a home-lone of about 20 to 25 lack, My anual income is about 6.5LPA How i can utilize this facility, plz send me the respective solutions. Please let me know if I am eligible or not. My income group under 2,50,000 per annum. My loan amount is 7,50,000 and tenure is 20years. Loan taken Feb- 2017. Property is 1017 square feet.so please help me . We are from karnataka resides in chikkaballapur town.. i recieve 15000 monthly salary.. and my land consisting of nearly 1000square feet.. i require 12lack loan from this scheme.. am i eligible for this loan? If eligible.. from which bank i should apply. And procedure??? Sir,I am central govt serviceman .my annual income is Rs. 4,50,000 .my plot size is 45×45 feet=2025 squar feet.My required loan amount is 15,00000 Rs.presently my home town located at jalpaiguri district city in westbengal.Kindly advice me about this purpose because I have no any pucca makan.please tell me I am eligible or not for this subsidy.please give me loan taken procedure by pdf file or any link via download option. I am single working women and am applying for a Home loan in SBI. My income is 9 LPA. But in property agreement I have made by father as a co owner along with me but he is not contributing in loan and he is a pensioner and he owns a home. Please let me know if I am eligible for PMAY MIG 1 scheme. Your response is highly appreciated. Please let me know if I am eligible or not. My income group under 2,23,200 per annum. My loan is Axis bank Ahmedabad amount is 7,24,000 and tenure is 20years. Loan taken Feb- 2017. Property is 1017 square feet. i go to bank for subsidy . but he told me you are not eligible because you property is not woman name. so please help me . Yes, they are right, and as per your income criteria, the area is also more that what is eligible. I took Home Loan of 28,80000/-, on Feb-2017(in Kotak Mahindra Bank) and its for 20 years. We bought a Flat of 910 sqft and UDS 519 sqft. My annual income is 4,05000/-(4 lakhs). Till not i am not notified regarding the Subsidy benefits of PMAY-CLSS from the bank(Kotak Mahindra bank) for the Home loan. Can you please help me i am eligible to take this benefit and guide me what needs to be done from my side. Please do the needful for me. sir i want to repay my loan of 1200000 taken in 2011..my carpet area is 680sq feet and my annual incom is less than600000. whether am I eligible for PMAY? I sold my home before 7 years ago and i dont have any property right now and i want to purchase new homeunder 50 sqr mtr and my yearly income is 2 lack so can i eligible for clss sceam? Can i get subsidy? Sir i I want to help .my loan amount is 1200000 and loan taken in Feb-2017 .I have eligible or not for PMAY schem..and loan tenure 13 year..
Hi, I am a housewife and am a part time LIC agent, with an annual income around 1.5lakhs. Can I apply for a housing loan and buy a house under PMAY scheme? I am Rama Chandra.R of Bengaluru availed/Sanctioned Home Loan of Rs. 26,67,000/- from Canara Bank, Bengaluru during Oct,2014(repeat Oct,2014). I am Central Government Employee having a annual income of Rs.7,00,000/-(now). Whether, I am eligible for subsidiary, as I have been paying interest rate @ 9.6% and total EMI of Rs. 24,825/-p.m. I have loan of 33L and the tenure is 25 yrs. My wife is co applicant. The loan has been sanctioned on Mar’2017. Total annual income (mine + wife) is 13 L. Am I eligible for the scheme ! I took loan from LIC HFL and they said they don’t have any information on the eligibility criteria. How to apply to get loan for buy agriculture land . Sir im salari paid my annual income is 200000. I’m I eligible for loan subsidy. I have never taken loan. I am booked a flat and sbi sanction my loan 29th December16. but ur telling only those who r eligible apply jan17 this not justified i am also low paid employee my self only laps 3 days this scheme for low paid employee..pl.suguested me what to do…. Sir I am under low income group. Marrage status is single and my parents have expired. I want to construct new home. Am I eligible for home loan subsidy under pradhanmantri awas yojana?? My total flat’s area is 1185sq ft(110.0901 sq mts) and I’m not sure if it is built up area or carpet area. I’ve taken the loan in March-17. My only concern is the area of the flat. Will it be eligible for this PMAY ? sir kindly give me the suggestion. sir hum kiraye k ghar me rahte h aur is yojna ka labh lekar ghar banana chahte h par website open nahi ho rahi h aur biaora(rajgarh) me koi jan suvidha kendra samajh nahi aa raha h jahan se form bhare bataiye……. I am now working at China with annual salary of 15 lak. whether I am eligible for PMAY loans. Thanking you. I had booked a flat in Shahnkheshwar Township in 1 B H K scheme. Am I elegiblefor the PMAY scheme and how to apply for the same. My loan is sanctioned in Feb-2015, Bank says i am not eligible for CLSS (Subsidy Scheme). How can i get the benefit of this Scheme. please inform the contact number in Kerala to know about this scheme. sir i want take loan 1000000 lac via pm awas yogna , sir i am govt employee my salary is 312000/- how can i get the loan from bank. send me the link and contact no . Sir, I have done stamp duty registration on 29 Dec 2016 and disbursement on 8 Jan 2017, can I avail PMAY mig scheme. Pls confirm at the earliest. Am I eligible for the same. My Annual income falls below 5 Lacs & i have a Home loan of 14 Lakhs from Dec 2015.. Can anybody put some light on the matter if i can try for this scheme? i want to apply for home loan can i eligible for this. My annual income is 2,16,000 i am going to take home loan of 10,40,000 for 30 years. Area of flat is 666 Sq.Ft. Just wanted to know i am eligible or not? My house plot is in the name of father and there is one house, Living father, mother and younger brother and family. I want to build another home in same plot. Can I apply this loan scheme in name of My father ? or in my name ? Property owner is father. In what base annual income calculate ? What proof to be give ? SIR I AM SELF EMPLOYED MY ANNUAL INCOME 300000/- IAM BY PROPERTY APRIL 2017 605 CARPET AREA AND I TAKE LOAN WITH HDFC RUPEES 150000/- 15 YEARS & PROPERTY REGISTERED ONE NAME ONLY (PRAMOD) SO I AM ELIGIBLE FOR SUBSIDY ? I am planning to buy a resale flat in under construction stage (Almost 65% work has done in this project). The owner is committing possession in March-2018 with taking consent from builder. I have confirmed from PLI(bank) that I am eligible in MIG Subsidy Scheme. 1) Is this scheme is available for resale property ? 2) Is this scheme is available for under construction resale property ? If Yes any limitation of Possession period ? 3) If there is limitation of possession period, It will count from date of commencement of loan or construction start date ? as well i will appling for loan Approximate rs 2500000/- can i get benifit against this scheme ? if yes how much ? What is MIG I, MIG II ? I have borrowed a home loan from Bank of India in March,2016 but due to ECS and such another improper banking services I my home loan take over to SBI from BOI on March,2017 for Rs.12,85,000/ regarding CLASS Scheme I fully qualify to all criteria or conditions.I also certified that I haven’t taken interest subsidiary and any other benefits under prime minister awas scheme and such another schemes. I have applied to new PLI (SBI) to get benefit of interest subsidiary under CLASS for MIG l&ll scheme 2017 that notified 11-03-2017 but I haven’t taken interest subsidiary on my home loan what should be done to finds this scheme pl guide to me for ensure to find this advantage/ profit.?? . Hi Sir i m parches home virar east this is my first house in mumbai my loan amount is 2155000/-rs Tata capital home loan & i m register the flat name Me & my wife name both are first house can you give me confirm i m eligible for PM yojana. My income is 4 Lac & my wife is house wife & i m flat parches is 15 NOv 2016 . Hi Sir i m taken home virar west this is my first house in mumbai my loan amount is 215500/-rs & i m register the flat name Me & my wife name both are first house can you give me confirm i m eligible for PM yojana. My income is 4 Lac & my wife is house wife & i m flat parches is 15 NOv 2016 . Dear sir. I want a home loan under pmay scheme. Which bank I go for take this loan. I have write it because allahabad bank denied to give me this scheme. Plz guide me which bank I go. Please clarify, my annual income is 5.34 lak and we are purchasing a flat of 1095 sft. Are we eligible for this PMAY benefit ? Kindly respond asap. Subsidy of interest ane aavs yojna na 2.20 lack bne ekj che k bne no alg labh mle?? Atle dr mahine Emi pn ochu tay ne?? Ane 2.20 loan ni mudl rakm pn gate?? Sir me privet company me job krata hu mera yearly income 1,62,000/- he kya muze lone mil sakata he kya . mil sakata he to kitana milega. We bought our first house and applies for loan at hdfc 2 daya ago. 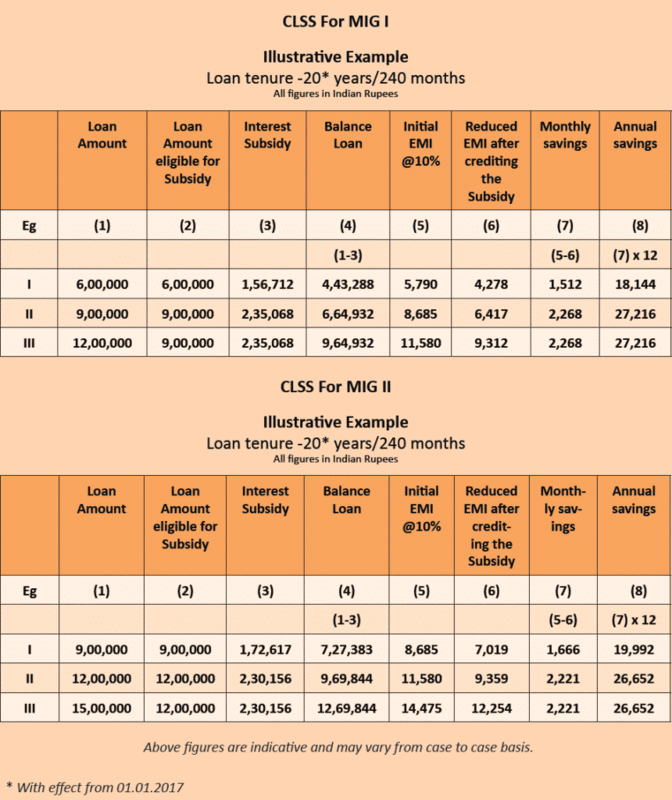 It is 65 sq mt.our income is 4-5 lpa.are we eligible for clss mig scheme. Note:-my elder borther is earning and we both brother are unmarried. What is meaning of above statement? Is it mean that we are mot eligible? sir, we, (husband and wife) both are in hp state govt. employees. My annual income is 6 lakh + and wife’s income is 4.5 lakh +. I) whether we both are eligible? 2) if my wife takes the benefits of PMAY 2017, then I myself can take the home loan to build house at another place without taking benefit of PMAY 2017? 3) Procedure of co-owner is compulsory in this yojna? Sir iam working for hdb financial services my annual income would be 300000..I want to know whether iam I eligible or not..since I have own house I want loan for 500000..if iam eligible means let me know how can apply for it..
Where can I apply home loan? In the home agreement woman name mentioned is must? I can take home loan of RS.1119000 in November 2016, and my annual income is 230000. I am eligible for subsidy. is there any special doc required? What are the Documents (other than normal home loan) required to get this subsidy? I am Santosh. My salary is 11,00,000 per annum. I am appling for HL in April 2017. On 22nd we guidelines for CLSS MIG is received. I have gone through entire guidelines for CLSS MIG 1. But wen I visited to bank on 7th April Bank people are not aware of the Guidelines for MIG… So if I am applying now How I can get the benefit of this scheme as Banks are not aware of this scheme.. I have taken Maxgain home loan from sbi in January 2017. Bank says that I can not get subcidy due to maxgain home loan. Is it true? My Income is 11lakh and I want to buy flat with carpet area 1250sqft.Can I eligible for pmay scheme for home loan interest subcidy? Or Loan ki Emi kya hogi? I have 2 Plots attached togather, One of 800 Sqft & other of 6085 Sqft(Total 1485 sqft). My Annual Income is 450000. In order to benefit from PMAY can I get Loan for both plots or for a single one. I actually want to build house on both Plots combined, what should I do ? My gross income is 18.8 lakh and net income is 15 lakh per annum after tax. Am I eligible? dear sir i am live in Durgapur and my lone requirement is 18 lac .but my anual income is 3 lac so what ammount can i give subsidy by pmay .my flat area is 925 sq.ft. My annual income is 12.80 Lakh ruppes. Have booked a flat this month. I am going to apply for house loan of 35 lakhs for a 50 lakh flat. Am i eligible for PMAY. Yes you are eligible for subsidy of 3% for loan amount of Rs. 12 Lakh, rest of the loan amount will not be subsidized. then how can apply for this scheme tell me the process. My age is 25 and my income is 1,80,000/- annual. in this scheme govt give home in india or loan for home or my selection from both options. Tell me sir i want to apply this scheme. Can i eligible. My monthly income is 15000/- nd my father is farmer and the income from aggriculture is 5000/- per month. We have a semi pucca home in haryana which is totally open . the area of home 150sq feet . Tell me am eligible for this. Sir , I sold my home in nov. 2016, which was on loan and it’s all paid when sold, now i purchase new home and want to take loan on it, am i eligible for subsidy ? i took a loan for 2542000 in march 2017 and my annual income is 900000 lakhs will i be eligible for the subsidy? Your home areas comes under the 12-18 Lakh income bracket but your income is less than that, if the carpet area is below 968 square feet, you can avail 4% subsidy on home loan in as per your current income. If your total household income is more than 12 Lakh then you can get a subsidy of 3% for a carper areas of up to 1180 Sq. ft. Please give me a reply i m in brahmin samaj i apply for loan 20 lacs my age is 26 and i apply for loan february 2017 can i eligible for this? ? Sir my income below 5 lakh and I am govt employ . I want home loan 10 lakh . Please reply me . Mujhe scheme ka labh milega ya nahi . CAN FIN se home loan k liye apply kiya h aur bank wala bol raha h ki abhi koi notification nahi aaya h . Please sir guide me. Main Ek chota se village se belong karta hu meri Anual income hai 144000 Mera Disst Faizabad me hai mughe 300000 chahiya kripa karke mughe bataiya . I dint apply any home loan,so can help me out of it. for this what are the documents required.so please help. i have been doing rounds of my lending Bank SBI but they are saying that they are not aware of any such scheme. Please guide how to avail the subsidy. I have taken a HL in Aug 16,for 22 lakhs, but it’s under moratorium period now, and only 2.6 lakhs have disbursed till now, so am I able for the subsidy under new scheme or not? Also suggest if I close this loan now and apply a fresh loan, then in in this case am I able for the subsidy under new scheme or not? i took a loan for 3000000 in march 2017 and my annual income is 6.30 lakhs will i be eligible for the subsidy? Hi I bought a house in the year sept 2016 and availed 40 lac loan and my income is below 12 lacs pa. I’m aware that I’m not eligible for PM awas yojana loan however I would like to know is there any chance that I can get any other benefits under backward class category. my loan amount is 11,40,000/- from India bulls, in March-17, but they did not provide us the PMAY Scheme, they told me one of applicant or co-applicant should b ladies, i m unmarried. So i m not eligible for the said scheme. My annual Income After Tax is approx 6 Lakh. I need a loan of around 25 lac for 20 years & my annual income is 7 lac. How much amount can be subsidized. Dear Sir, i have taken home loan of 30 lacs from HDFC BANK in MAY’2016,But second disbursement of 5,00,000 given in march’2017. am i eligible for the subsidy ?? my family income also not more than 10 lacs. property carpet area 1120 sqft. sir my Indian army me service kharata hua. mera 370000 annual income hai. subsidy loan Ka jarurat hai sir . mera proferty seaway no me hai. IF I want a loan of 20 lakh and can it be subsidized or not . My income is below 6 lakhs and not applied for it till now. Please suggest in this case. I want to know that i have taken a home loan of 1500000 in can fin homes for 20yrs in the year 2014, will i be eligible for the PMAY. My annual income is 4 lac. Will this yojana will be for only Nationalized bank or even private bank. I have availed a loan of 13 lakh in 2013 in a co-operative Bank which is not in Primary Lending institution list. Am i still eligible? May I eligible for PMAY 2017 or not? Sir iam state govt. Employee my annual income is 360000 i want to know i am elegible or not for subsidy scheme. Is it applicable only to NEW Loans – Or the existing loans processed after 1 Jan 2017 can also take this benefit. Please give clarity on the same. Please let me know if I am eligible or not. My income group under 12lac per annum. My loan amount is 29lac and tenure is 20years. Loan taken June 2016. Property is 720 square feet.